SVPinView is a light-weight customisable library used for accepting pin numbers or one-time passwords. An example project is included for demonstrating the functionality of SVPinView. Clone the repo and drag files from SVPinView/Source folder into your Xcode project. The becomeFirstResponderAtIndex property sets the pinField at the specified index as the first responder. The isContentTypeOneTimeCode property sets the contentType of the first pinField to .oneTimeCode to leverage the iOS 12 feature where the passcode is directly fetched from the messages. There are two inbuilt styes; underline & box. 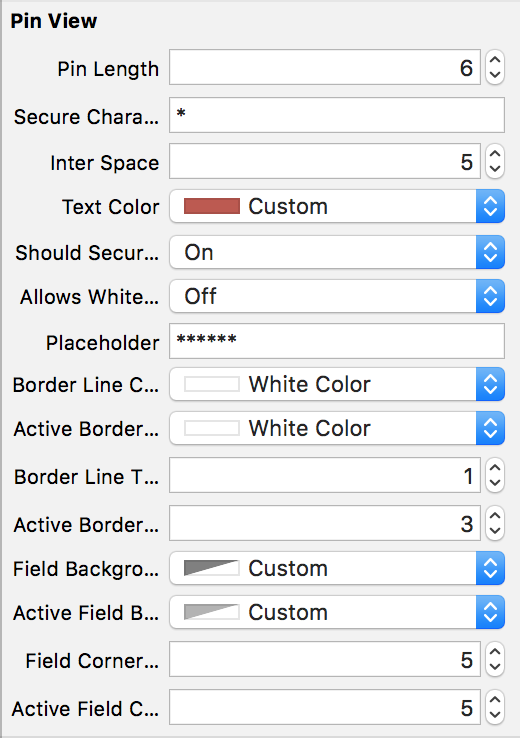 However, the fieldBackgroundColor & fieldCornerRadius properties along with activeFieldBackgroundColor & activeCornerRadius properties can be used to create custom styles. getPin(): Returns the entered pin as a String. If the method is called when the pin entry is incomplete, it returns an empty String for validation. pastePin(): Takes a String as an argument and enters it into the pinView. Useful for showing default values or for pasting from clipboard. Long-press on the pin field will also allow pasting from the clipboard. clearPin(): Clears the entered pin. didFinishCallback: Gets executed after the entire pin has been entered. This is useful when a network call has to be made or for navigating to a different ViewController after the pin has been entered. didChangeCallback: Gets executed when any of the pinFields have been changed. This gives additional control to the parent VC – Eg: if a submit button has to be enabled/disabled based on the pin validation. SVPinView is available under the MIT license. See LICENSE for details.